Raise your hand if you love a good refreshing summer drink?! Today I have a delicious lemonade recipe for you where a majority of the prep work can be made in advance and stored in your fridge to use all summer long. 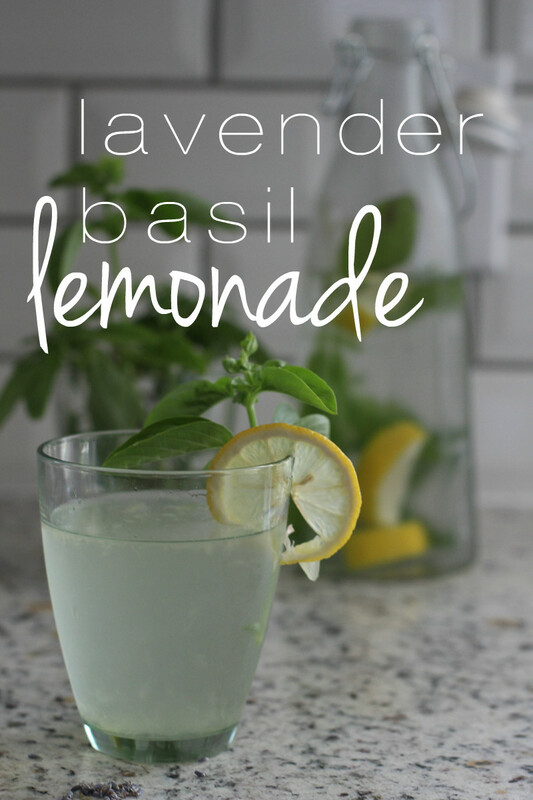 I feel like every summer I discover a summer drink and it is my go-to for the entire summer and this years lavender basil lemonade did not disappoint. If you don't have a basil plant at home I highly recommend purchasing one. They are easy to grow and produce a lot of basil. I have three basil plants in my garden I can't eat it or give it away fast enough. Lavender can be purchased at a local spice shop or on-line. It costs around $2 for a couple of ounces and lasts a long time. I've only purchased it once this summer and still have plenty left. 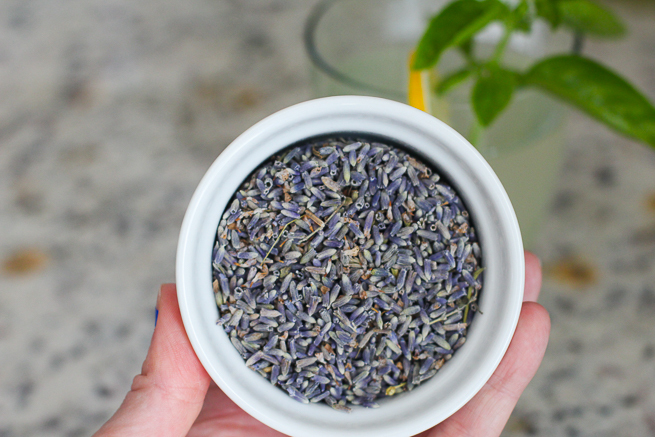 This recipe is easy because you can make a batch of lavender infused simple syrup and keep it in your refrigerator. That way when you want to make lemonade you will have the syrup ready and just have to squeeze a lime and add in basil. 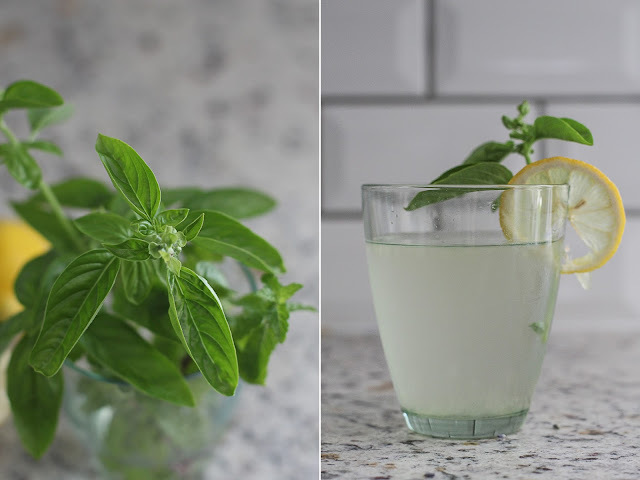 Sometimes you can infuse water overnight with basil if you so choose but I often don't remember to do that. In a pot bring to a boil the water, sugar and lavender. Once it boils turn it down to a simmer and stir it for 2-3 minutes. Take it off the burner and let it cool for about 10 minutes. 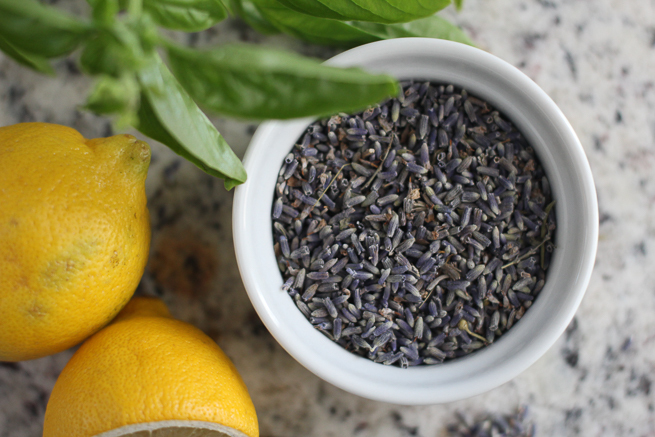 Strain the lavender out and place the simple syrup in the refrigerator until you are ready to make your lemonade. You can also substitute honey for sugar for simple syrup. It gives it a bit of a different flavor but is still really good. 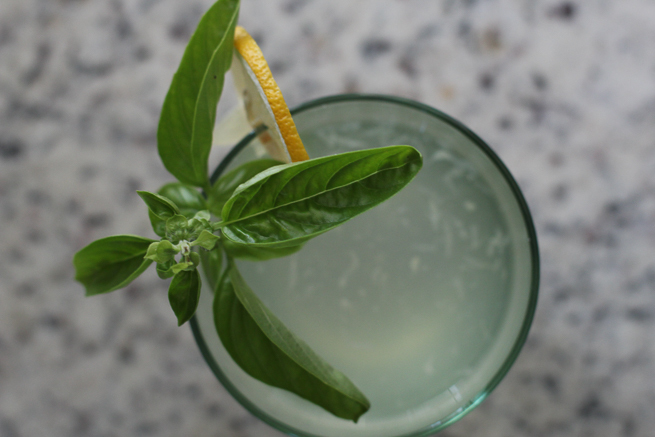 Squeeze 1/2 lemon in a cup, add 1 shot of the syrup, basil, water and ice. You can add more or less of the syrup or lemon to your taste. I think this drink is so incredibly tasty! If you take the time to make the syrup where it is in your fridge it saves time in the long run. What's your favorite drink during the summertime? 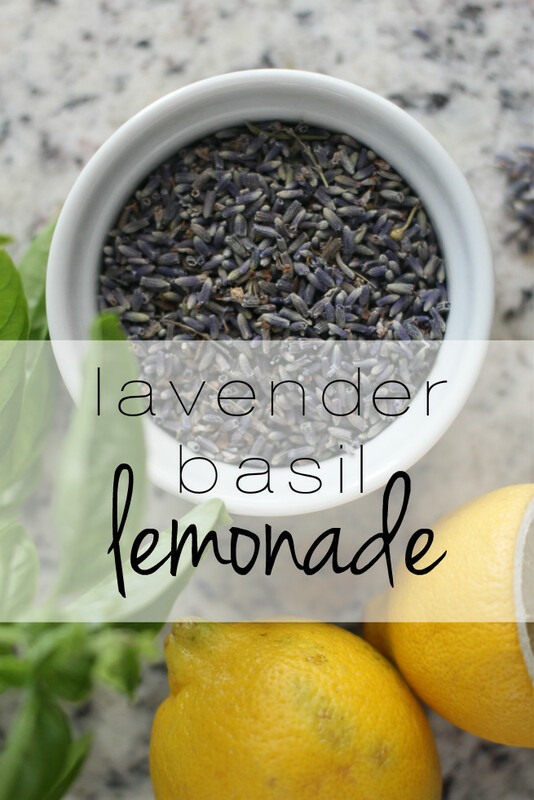 Have you ever had a drink with lavender in it? It is surprisingly tasty! I love basil! This sounds SO good! Love this! 😀 So glad you love it as much as I did. I can't get enough of it. This looks so refreshing and yummy!